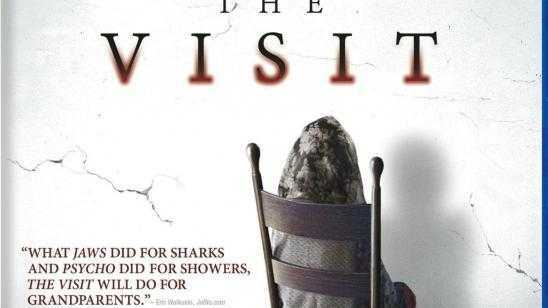 Universal Pictures Home Entertainment is releasing M. Night Shyamalan‘s The Visit (2015) Blu-ray / DVD on this upcoming January 5, 2016. Special features include the making of the visit and Becca’s photos. Not exactly a terrific special feature lineup but still better than none. I enjoyed the film and even though the special features are a little lackluster, I would still buy the Blu-ray because the movie was entertaining. Olivia DeJonge, Ed Oxenbould, and Deanna Dunagan star in The Visit. Official Synopsis: Two children spend a week at their grandparents' house while their single mom goes on a relaxing vacation with her boyfriend. Becca decides to film a documentary about her grandparents to help her mom reconnect with her parents, and to find out some things about her parents as well. While filming, Becca and her little brother Tyler discover a dark secret about their grandparents. Top 10 Best Netflix Original Horror Movies You MUST Watch Today!